The Tropic slogan is: 'Pure, Honest, Effective' - the three things any woman wants from a product they're going to be using on their face. Tropic fulfil this entirely by using natural, pure ingredients in their skincare and makeup. As someone who has recently converted to natural products, I honestly feel that my skin has never been better. The company pride themself on being cruelty-free, Vegan Society approved and also environmental conscious with the use of recyclable materials and sustainable ingredients. For more information on the beliefs and values of the brand, check out the following page on their website: here. Now on to the foundation! The active mineral foundation is powered by the active botanical extracts of Olive Leaf, Sea Buckthorn and Vitamin E. Such extracts have a range of different uses for the skin: they help to cleanse and moisturise the skin, whilst also reducing inflammation to give you a clearer and brighter complexion. 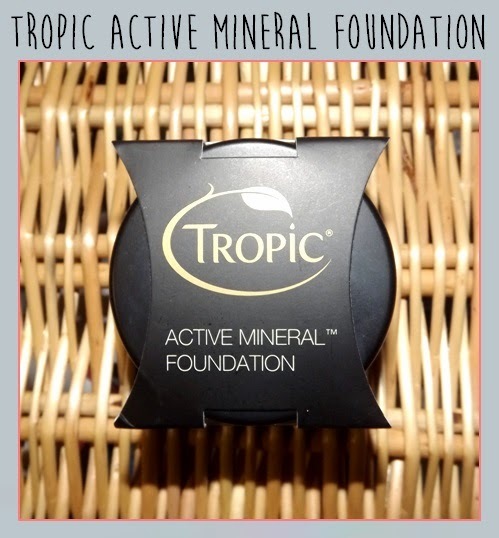 The mineral powder is ever-so fine because Tropic make use of the latest spherical technology. I definitely think that appication is so much easier with this foundation then any other powders I've tried. It seems to cover any pores or fine lines seamlessy and amazingly doesn't stick to dry patches! The latter was a real pain for me with my previous foundation as the winter air leaves my skin so dehydrated, but this foundation just sits nicely on top. 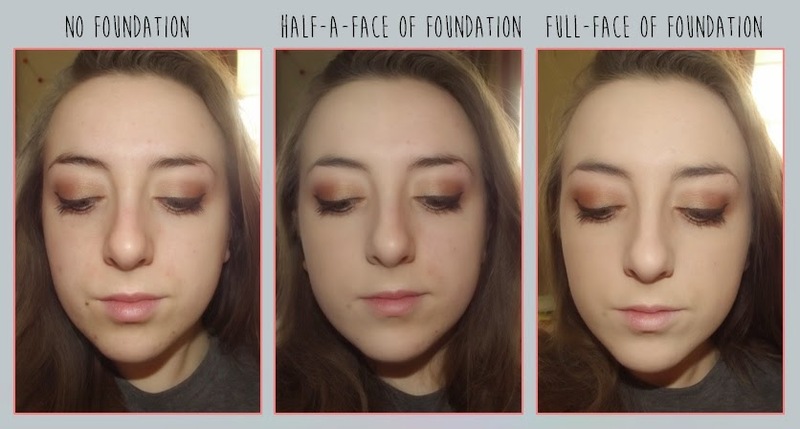 Below, I've included some pictures of me wearing the foundation. I applied this with a brush and it blended out like a dream. Although it might be a little bit difficult for you to see in the left hand pictute, I actually had a lot of spots around my chin and patches of redness on my forehead, cheeks and nose. Applying just one layer of the mineral foundation completely covered up all of these imperfections and gave a flawless look. I really feel like it helps to brighten up my complexion - which is perfect for those dull mornings! These pictures demonstrate how I use this for a full-face of make-up, but on days where I don't want to wear foundation I still use this to cover up any under-eye dark circles and as a concealer. In terms of staying power, I was massively impressed. I have combination skin, so although I have dry patches I also get very oily in my T-zone and on my chin. These oil-prone areas just ate away at my previous foundations so any trace of the product had disappeared by the afternoon, however this mineral foundation performs so much better. As I write this, it's 9 hours since I applied my foundation and I've still got great coverage - even in my problem areas! Since I've tried mineral foundation, I'm in no hurry to go back to my old liquid products! I'm really blown away by the quality of this item. I honestly never thought it would be possible to get coverage as great as this for so low a cost. If you're interested in this foundation, the link for it in their online shop is: here. Tropic is definitely a company that I want to continue supporting as they're committed to making premium quality products, whilst also maintaining a pure, natural ethos. Be sure to check out their website for more of their make-up range as well as their skin and body care!